At arrival you will met our representative. He will assist and transfer you to Katra for 02 nights stay. Katra is around 50 Kms from Jammu which is around 2 hrs Straight drive. 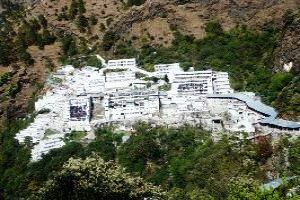 Katra is the Pilgrimage to the most popular Mata Vaishno Devi Temple. Katra is popularly known as Katra Vaishno Devi, as it is the base camp for the pilgrims visiting the sacred abode of Vaishno Devi. 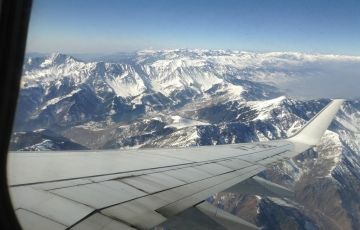 It is one of the Jammu and Kashmir popular tourist spots and is visited by thousands of people. Overnight stay at Hotel in Katra. After breakfast proceed on a Pilgrimage to the most popular Mata Vaishno Devi Temple (Darshan of your own). Katra is popularly known as Katra Vaishno Devi, as it is the base camp for the pilgrims visiting the sacred abode of Vaishno Devi. After breakfast you will be transferred from Katra to Srinagar for 03 nights stay. Srinagar is the largest city of Kashmir which is also the summer capital of Jammu and Kashmir and due to its qualities it’s also a center of attraction for tourist. Srinagar is spread over an area of 103.93sq kms and its height above the sea level is 1730mtrs.This is a beautiful tourist place with mixture of various castes, cultures and languages. 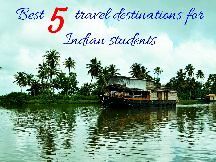 The main specialty about this city is its waterfalls and the gardens made by Mughal emperors who represent the beauty of 4th and 5th century. Overnight stay at Houseboat in Srinagar. After breakfast leave for half day tour to Shankaracharya Tempe. Afternoon tour to famous Nishat garden also Known as “Garden of Pleasure” built in 16th Century (1633) by the Mughal Emperor Asif Khan then visit to the second wonderful garden known as Shalimar Garden also Known as Garden of love built in 16th Century (1619) by the Mughal Emperor Shahjehan the gardens are situated on the banks of the Dal Lake with the Zabarvan hills in the background. After breakfast leave for the full day tour of Sonamarg (Meadows of Gold), Sonamarg lies at the head of the Sindh valley. The drive through here presents a spectacular facet of the countryside; Sonamarg is the beginning of the enchanted journey into a natural wonderland, Surrounded by pine forest mountains up to 5300 meters high the valley is divided by a spur of the "Thajwas Range Mountains" one can have a pony ride to visit Thajwas Glacier where snow remains round the year the major attraction at Sonamarg in summer months, Sonamarg is known as Gateway of Leh and Ladakh. After breakfast full day trip to Gulmarg. 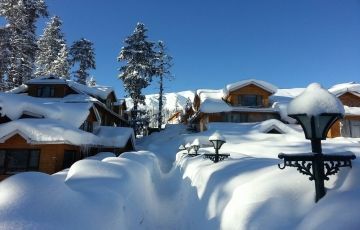 Gulmarg (8700 ft i.e. 2652 mts), known as 'Meadow of flowers”. Discovered by the Kashmiri romantic poet in the 16th century who was inspired with its grassy slopes covered with wild flowers. 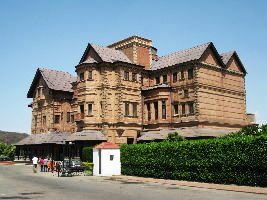 It is one of the India's premier Hill resorts. 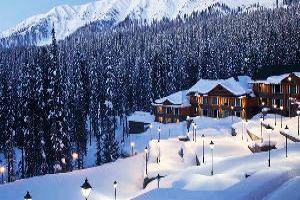 Gulmarg today is not merely a mountain resort of exceptional beauty - It also turns into India's premier Ski resort in winter. The Gondola Cable Car offers rides to the upland meadows of Kongdori and beyond to the top of Apharwat range to a height of 14000 ft for viewing the Himalayan Peaks in summer and for downhill skiing in winter. After breakfast leave from Srinagar towards Pahalgam (The Valley of Shepherds) for 02 nights stay, one of the beautiful and fascinating ideal resorts all the year. It is the base for several treks in the region & for the Annual Pilgrimages to the cave shrine of Amarnath; It is surrounded by 12 high snow capped peaks. Enroute, Visit the Saffron Fields of Pampore, Awantipura Ruins (1100 years old Temple of Lord Vishnu built by the King Awantivarman) & enjoy the beautiful countryside life. After Lunch visit the places in Pahalgam by Pony ride (at own cost) Debayan, Shikargah & Baisaran. After breakfast at the hotel, you can opt to spend your day of sightseeing by driving to the picturesque Chandanwari and Betaab valley or ride by horseback across the wildlife sanctuary towards Baisaran meadows. Rest of the day will be at leisure for individual activities. After breakfast you will be transferred to Jammu Railway Station for onwards journey with the sweet memories of Holidays for life long.